Launched today Donsö Data's new website that we built in Joomla 2.5. 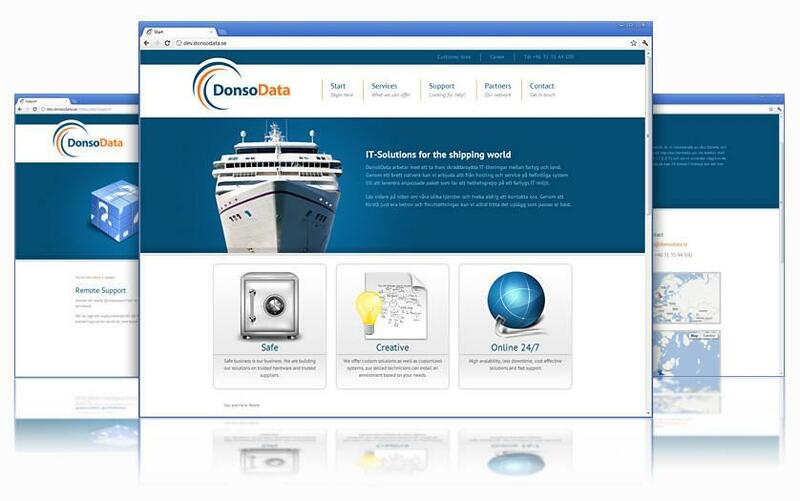 Donsö Data works with maritime IT solutions and have supported us both to design and develop their new website. Then they work against both the Swedish and international customers hand in both Swedish and English versions. We have also installed a management system for better support. Donsö Data also took the help of our copywriter for the text of the page. See the complete page here.